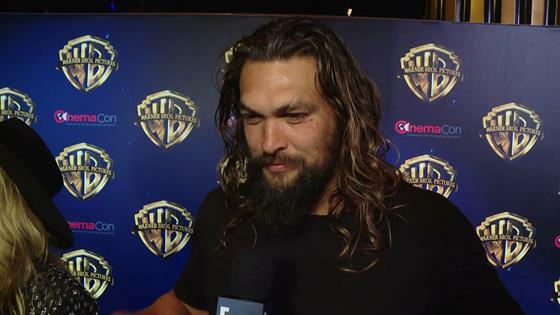 What Jason Momoa Thinks of Getting His Own Movie "Aquaman"
From the red carpet to the film set, musclebound Jason Momoa is pretty much all Jason Momoa, all the time. On Tuesday, the Avengers: Infinity War actor attended an event during CinemaCon at The Colosseum at Caesars Palace and got really real about working out, his favorite non-movie-making pastimes and how rad he thinks it is that he's starring in the $300 million movie, Aquaman, due out in December 2018. When asked about what it means that he's the lead of the big-budget action movie, the 38-year-old couldn't help but gloat—a little—but who could blame him? "It means I am the f-cking man and I am super pumped," said the former Game of Thrones actor to E! News. "I finally I got a movie that's all mine—with awesome characters, amazing actors and great director. It's all mine." Of course, the beast of a man also talked about how "tough" it was to bulk up for the high-octane flick. When asked about what the actor, who has two children with wife Lisa Bonet, likes to do with his downtime when he isn't filming, Momoa said, "Cuddling Babies, kissing my wife, playing in the dirt, rock climbing, just being with my kids. I love being with my kids out in nature." The pair, who secretly married last year, share Lola Iolani Momoa and Nakoa-Wolf Manakauapo Namakaeha Momoa. During the chat, the actor revealed when he's done with the Vegas event he was going to fly back home and go camping with his kids. 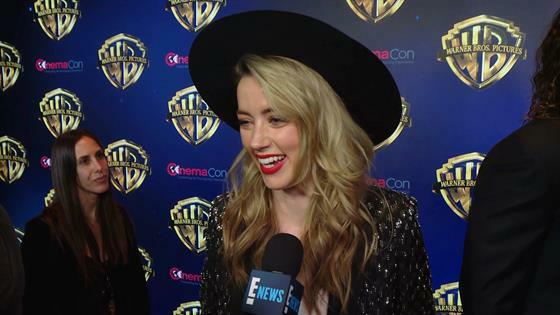 Amber Heard on Training for Mera Role in "Aquaman"
Meanwhile, Momoa's leading lady in the film, Amber Heard, who plays Mera in Aquaman, also talked about what it was like "training all day, every day for six months" and how it helps her get into character. "There is something amazing when you are preparing for a role and it requires something physical because it ties you in a deeper way to your character when it's in your body literally," said the Danish Girl actress. Aquaman swims into theaters on Dec. 21.